Search Engine Optimization Friendly URLs (or SEO FURLs) is an important SEO facility which allows you to increase the traffic to your website. A FURL looks like a web address that is easy for a user and a search engine crawler to decipher (in comparison with a dirty URL - http://www.example.com/cgi-bin/gen.pl?id=4&view=basic). In other words, most search engines won't index any pages that have a question mark or other character (like an ampersand or equals sign) in the URL. That is why it is important to consider using friendly URLs. Module mode_rewite - is an Apache module that allows you to use regular expressions within an .htaccess file to rewrite your URLs. RewriteEngine On - turns mod_rewrite on. RewriteCond directive - defines conditions under which the rewriting should take place. RewriteRule is the rewriting rule. 2. When the file with the code is ready, save it and upload to the root folder of your shop. To check whether you've set friendly URLs properly, please go to your site, press a category or a product. 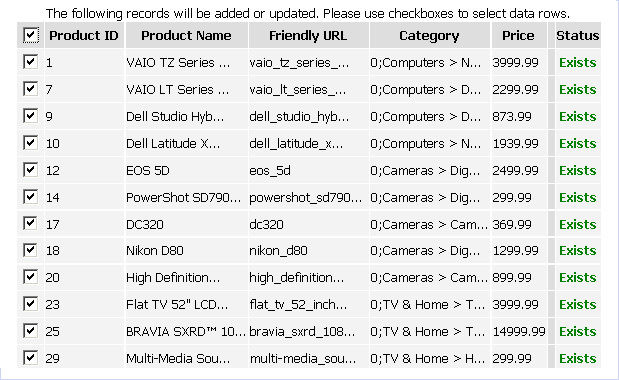 If you're correctly redirected to an appropriate category and/or product and your URL is something like: www.yoursite.com/accessories (for a category) or www.yoursite.com/item1?category_id=1 (for a product) then your friendly URLs are set correctly. This is an example of using friendly URLs without extension. If you receive an error page (i.e. 404 error), then it is recommended to check your .htaccess file for the correct rewrite mode code. Press the ‘Add’ button and check your site. If you select to show friendly URLs with html extension in your Global Settings then when clicking the user_profile link you will see that the new URL will be user_login (as per your change). Quite easy:). Click 'Update' to save the changes. 3. Access your site via any FTP client program and open your .htaccess file. 5. Save the changes and upload the updated file to the root folder of your shop. where '404' is the name of your custom page as created in your ViArt shop Admin console. where '404_text.txt' is any empty text file saved in the root folder of your shop. 8. Save the changes in the 'friendly_url.php' file and upload the updated file to the root folder of your shop. 9. Open your browser and type something like: http://example.com/404, where example.com equals your actual site URL and 404 is the name of your custom 404 page. If you did everything correctly you will see your 404 custom page. 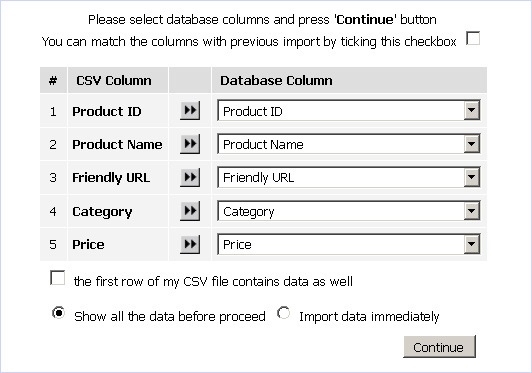 Firstly, select items you would like to update, press the 'Export filtered' button (below the products list in your Admin panel) and save a .csv file to your computer. When exporting items, ensure that you select an option 'Friendly URL'. Further, open a .csv file, edit/add fURL in the column 'Friendly URL' and save the file. Go to your Admin panel (Administration > Products > Products&Categories, press the 'Import Products' button and select the file you've modified. 1. Open any text editor (for example, notepad), insert necessary rewrite rule code, then save it as a text file somewhere to your computer. 3. Save the file and upload it to the root folder of your shop via any FTP client program.